I have a long list of things I feel guilty about — there’s the sorry state of my underwear drawer, the pile of table linens that’s been waiting to be ironed since Christmas (2017), the fact that I reportedly traumatized my kids by refusing to buy Dunkaroos when they were little, and my terrible habit of always saying what I think aloud, to name but a few. But one that inevitably finds its way to the top of my “I’m a loser” list is that, despite my best efforts, I am not green enough. And that one really niggles because it won’t just affect my life, but, like, THE ENTIRE WORLD. I am trying, planet, but I get so confused by the recycling poster, and an electric car is not in the budget! 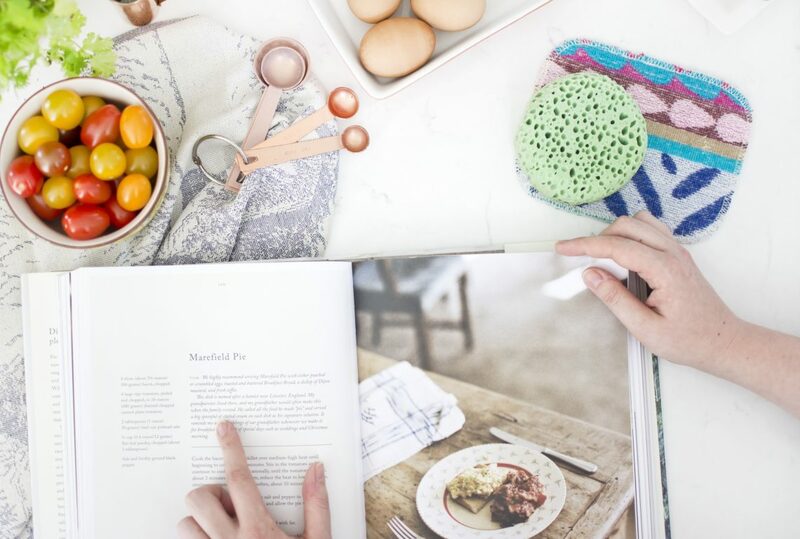 So it’s lovely to discover simple, easy kitchen switches that make it a more sustainable space. 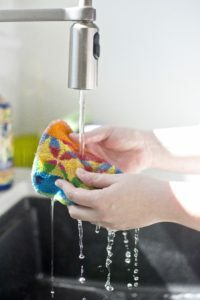 My most recent find is the EuroScrubby, a five- by six-inch cotton square with an abrasive texture that takes the place of detergent-infused disposable scrub pads. Except you can use this one safely on everything — wood, glass, marble, porcelain, stainless steel, counter-tops, and non-stick pans. Ergo — one small pad instead of a pile of cloths, scrubs and brushes to litter the sink area. It’s easy to clean — just pop it into the top rack of the dishwasher or in the washing machine (not of course, with your silk negligee – think towels and cleaning cloths). Depending on how it’s cared for and how much use it gets, a EuroScrubby will last up to two years. And those colours – so cheerful! PS: It just occurred to me that by not doing that ironing, I am saving energy. Yeah me. I am going to let those tablecloths sit there another twelve months. For the sake of the planet, of course.